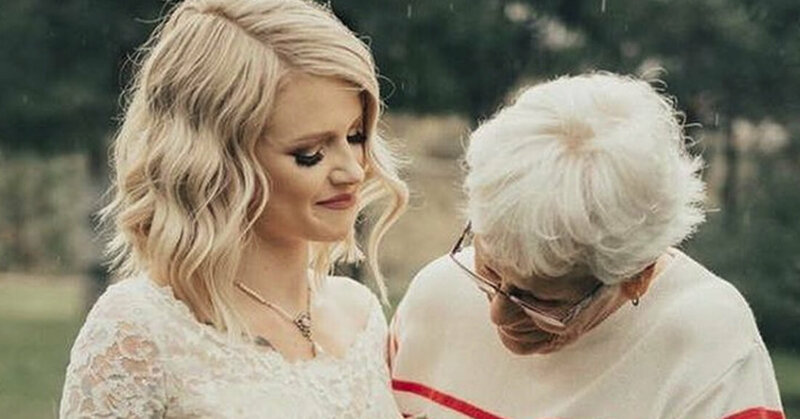 When bride-to-be Jordyn Cleverly was deciding on her "something borrowed" to wear on her wedding day, she seized the chance to surprise her widowed grandmother. So, she chose to secretly sport the gown her grandmother Penny Jensen wore to marry her high school sweetheart in 1962. The 23-year-old bride from Boise, Idaho, married Dakota Cleverly - who she met aged 14 - in the elegant long-sleeved, lace gown her 74-year-old grandmother wore 55 years before. A photographer was there to capture the moment when Penny first saw her granddaughter in her dress. Jordyn didn't tell her grandmother, whose husband passed away before she was born, that she was wearing the gown until the rehearsal dinner that night. "I didn't want her to see it for the first time walking down the aisle and just start sobbing and all those memories come back to her" Jordyn said. Jordyn snapped up the gown after her grandmother said she planned on donating it to charity. "My grandma had zero idea; she had no idea it was even in my possession," she said. The bride secretly got her widowed grandma's dress from 1962, and is wearing it for her big day. Tears streamed from guest's faces as they stood in stunned silence. Jordyn described the moment as an "emotional rollercoaster". 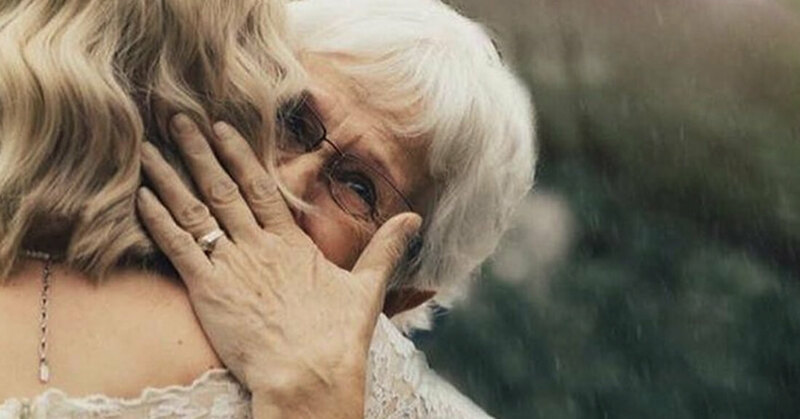 After being speechless for a moment, Penny whispered in her granddaughters' ear: "I married my high school sweetheart in this dress and so will you."